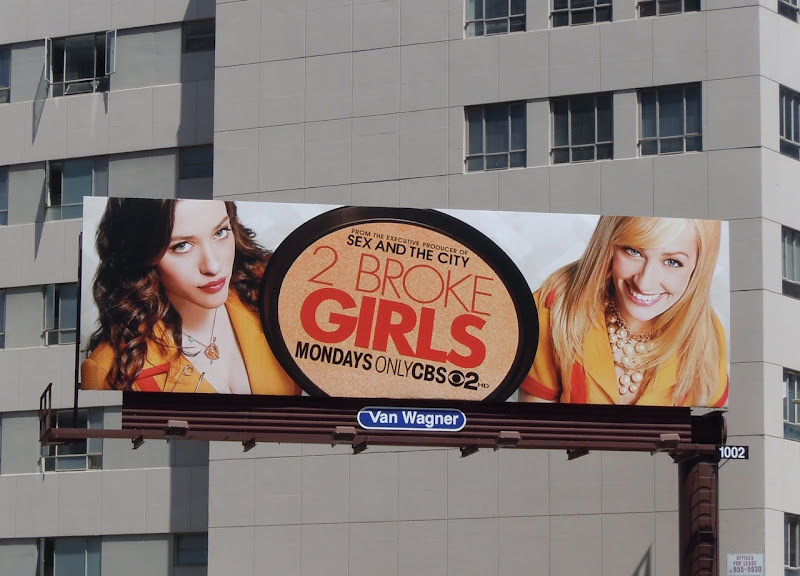 Apparently 2 Broke Girls pilot tested through the roof with the highest scores CBS has ever received, so let's hope the new comedy can live up to all the positive hype. 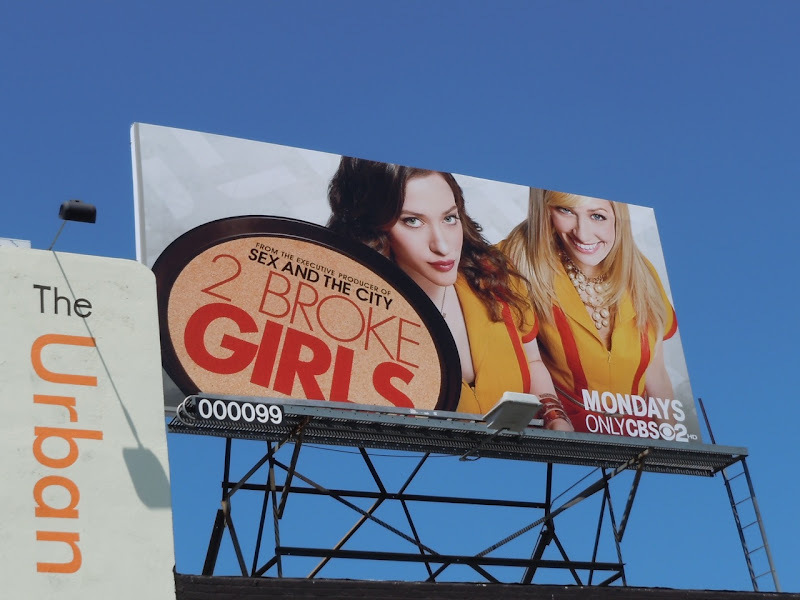 Funny ladies Kat Dennings and Beth Behrs star as two Brooklyn restaurant waitresses with a shared dream of one day opening their own cupcake business. 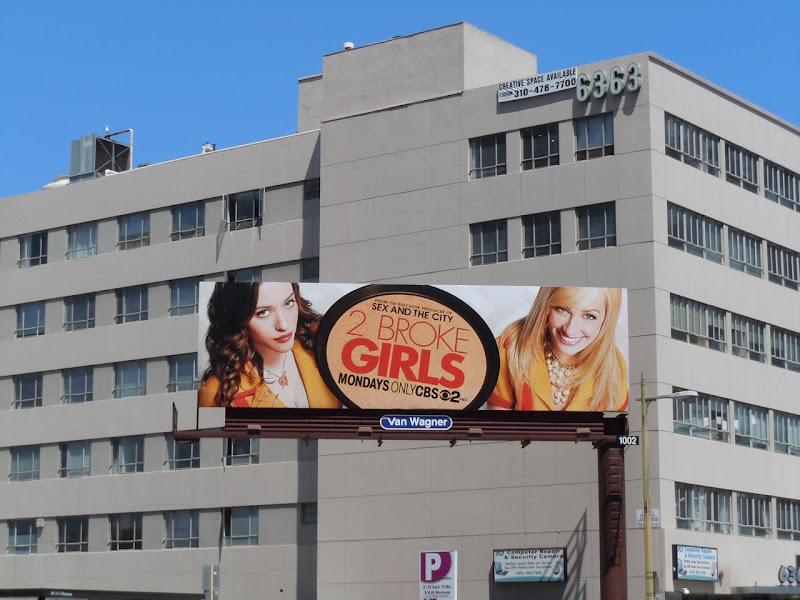 This standard billboard for the new sitcom was snapped along Wilshire Boulevard at La Jolla Avenue and the smaller creative along Beverly Boulevard on August 16, 2011. 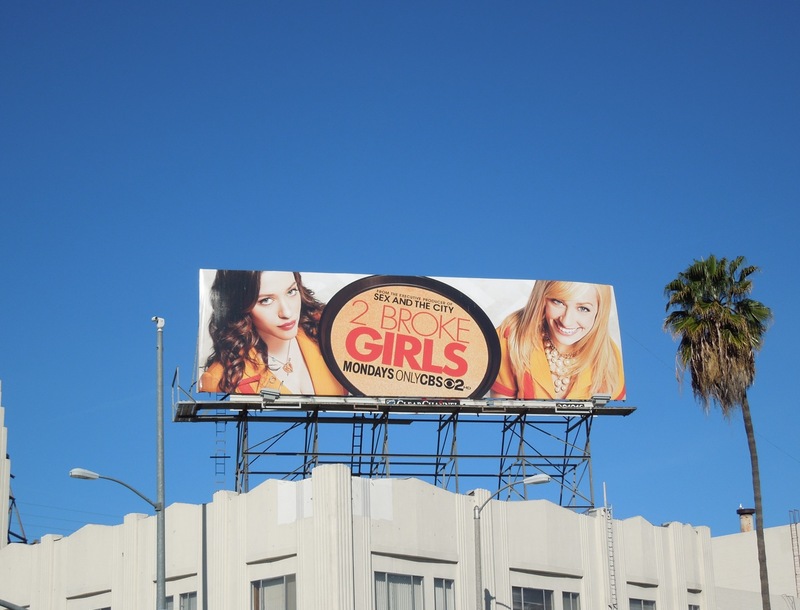 UPDATED: You can still find this billboard for the first season of 2 Broke Girls on the corner of Fairfax Avenue and Beverly Boulevard, opposite CBS Studios, and it was snapped on January 28, 2012.